-An ultrasound session and workshop took place during the 8th Conference of the European Hidradenitis Suppurativa Foundation that will take place in Wroclaw, Poland on February 6-8, 2019. 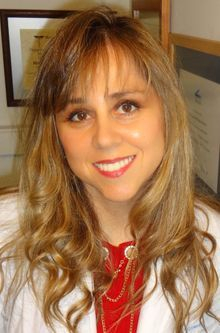 - A session that included a dermatologic ultrasound lecture took take place at the Session Chile Presents during the Pre-Congress AAD Global Education Day (American Academy of Dermatology Annual Meeting 2019) on February 28, 2019 ;10 am -12 pm, room 147B Walter E. Washington Convention Center, Washington DC. -A Dermatologic Ultrasound course took place in Cluj-Napoca, Romania, on February 23-24 , 2019. -An Ultrasound Worskhop and Lectures took place at the Annual Hidradenitis Symposium organized by the Hidradenitis Suppurativa Foundation. The meeting will take place on October 12-15, 2018 at the Women´s College Hospital Conference Center in Toronto, Canada. The Chilean Society of Radiology has organized the 2nd Annual Workshop on Dermatologic Ultrasound that took place on August 3 and 4, 2018 in Viña del Mar, Chile SOLD OUT in 24 hours ! The EFSUMB (European Federation of Societies for Ultrasound in Medicine and Biology) provided a Dermatologic Ultrasound Course that took place on June 1-2, 2018 in Madrid, Spain. -A Meet-the-Professor Session on Dermatologic Ultrasound took place at the Annual Convention of the American Institute of Ultrasound in Medicine (AIUM) . The session was scheduled on Tuesday, March 27, 2018 from 12:00 to 1:30 pm at the Harlem room of the New York Hilton Midtown Hotel. SOLD OUT !!! -Dermatologic Ultrasound lectures were included in the program of the Mexican Academy of Dermatology annual meeting that took place in Mexico City on March 7-10, 2018. 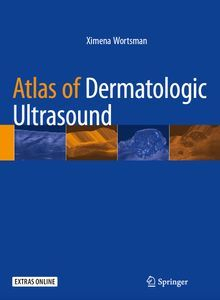 The content included the role of ultrasound in hidradenitis suppurativa, basal cell carcinoma and nail lesions. - A successful pre-congress ultrasound workshop and lectures took place at the Hidradenitis Suppurativa Symposium 2017 on November 3-5, 2017 in Detroit, USA. SOLD OUT! -The lecture "Ultrasound Diagnosis and Staging of Hidradenitis Suppurativa took place at the X International Galileo Symposium in Pisa, Italy. This symposium was organized by the the Departments of Dermatology of the University of Pisa and Miami and is scheduled on June 15-16 th, 2017. -The lecture Ultrasound Assesment of Skin and Nail in Rheumatic Diseases took place at the Advanced Ultrasound Course of EULAR 2017, June 11-17, 2017, Madrid, Spain. -The lecture "Key Ultrasound Concepts in Hidradenitis Suppurativa" took place at the Imaging Session of the European Hidradenitis Foundation Annual Conference ( February 8-10, 2017, Copenhagen, Denmark). The abstracts of the scientific oral presentations of this meeting were published in the Journal Experimental Dermatology 2017. -Dermatologic Ultrasound lectures were available at the Annual Course organized by the Radiology and Imaging College of Nueva Leon, in Monterrey, Mexico on November 2- 4, 2016. -A session on Imaging of Skin, including ultrasound, took place during the CILAD ( Colegio IberoAmericano de Dermatologia) Congress in Buenos Aires, October-25-29, 2016. The Imaging Session was scheduled on October 28 from 14:30 to 16:00pm. -The lecture "Color Doppler Ultrasound on Complications of Cosmetic Fillers" took place at the conference BAAS- Beauty Antiaging and Aesthetic Sessions- will take place on September , 9, 2016, in Santiago, Chile. -A lecture on "Imaging in Dermatology" including, X-Rays, Color Doppler Ultrasound, CT, PET-CT and MRI took place at the Master Class Imaging Day during EADV Spring Symposium in Athens, on Friday, May 20, 2016. The Second Dermatologic Ultrasound Course in Abu Dhabi took place on November 21-22, 2015 and provided 14 CME hours of Category 1 Credit. - The lecture Ultrasound of skin and subcutaneous tissue in rheumatic diseases took place at the Musculoskeletal Ultrasound Course of the EULAR 2015 meeting. Monday, June, 8 from 15:30 to 16 :00 pm, Rome, Italy. -An additional skin ultrasound lecture took place at AIUM WFUMB 2015 on "Sonography of Inflammatory Diseases of the Skin" at the Musculoskeletal Ultrasound Session. - Check our New Press and Media web page ! -The lecture "Ultrasound in Dermatology: From 2D to 4D" took place in the International Symposium organized by the Department of Dermatology of the Pontifical Catholic University in Santiago, Chile on June 28, 2014. The topic of the symposium is "Updates in Diagnostic Techniques in Dermatology". -A 2-days International Course on Skin Ultrasound took place in Abu Dhabi, United Arab Emirates on December 12 and 13, 2014 at the Fairmont Bab Al Bahr Hotel. -The lecture " Advances in Dermatogic Ultrasound" was presented during the RADLA 2014 (Annual Reunion of the Latinoamerican Dermatologists) that took place on May 2-5, 2014 in Santiago, Chile. -The course:" Innovation in Clinical Dermatology: The Ultrasound Technique" took place on November 27-29, 2013 at the Institute for Diagnostic Imaging and Research of the Skin and Soft Tissues (IDIEP) in Santiago de Chile. The language of the Course was Spanish. Sold Out! 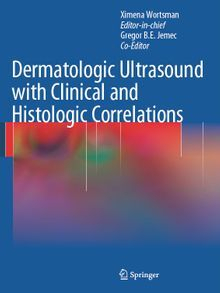 -The book "Dermatologic Ultrasound with Clinical and Histologic Correlations" has been officially published !!! -Do no miss the new web Skin Ultrasound web Page on Facebook. -Six skin ultrasound scientific studies were presented as e-posters in the annual convention of the American Institute of Ultrasound in Medicine (AIUM 2013) that was held in New York from April 6-10, 2013. Two of these e-posters were awarded third place and honorary mention respectively ! -The EULAR Sonography Course 2013 finished and was sold out in the three levels, basic, intermediate and advanced, each of them being a combination of lectures and hands-on scanning of models and/or patients with musculoskeletal and skin disorders in small groups with experienced tutors.The course was organized by the European League against Rheumatism and was held from Sunday 9th to Wednesday 12th June 2013 in Madrid, Spain. 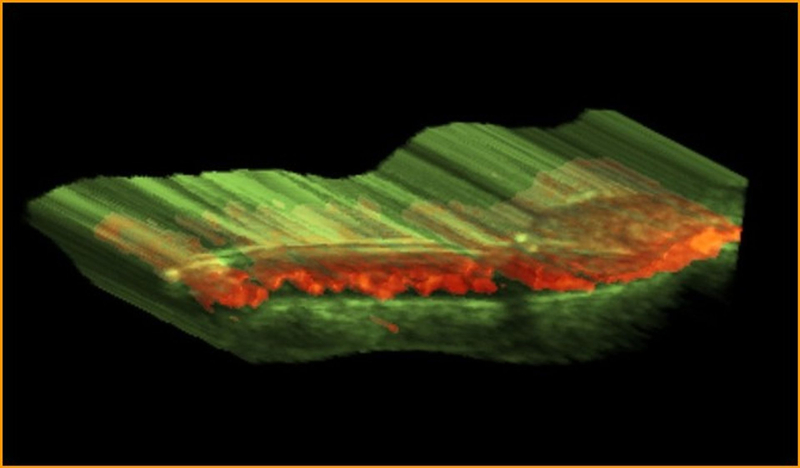 -A lecture on 2D and 3D Ultrasound in Basal Cell Carcinoma was performed at the Annual Course of Therapeutics in Dermatology organized by the Department of Dermatology, Hospital Clinico University of Chile, Faculty of Medicine, University of Chile, Santiago, Chile on August 16-18, 2012. ( course in Spanish). Lectures on Skin, Nails and Scalp were performed at the Annual Ultrasound Course organized by Venezuelan Musculoskeletal Ultrasound Group on June 21-23 , 2012. There were basic, intermediate and advanced levels. -Nail sonography was one of the topics in the RADLA meeting ( The Annual Reunion of Latino American Dermatologists) that took place in Sao Paulo, Brazil, on May 19-22, 2012. -The Skin Ultrasound School is now open!!!!. This is the first skin ultrasound school in the world and will provide on line training for those interested to know more about this fascinating topic. NEW !!! -Skin Ultrasound lectures were available at the Precongress Course in PANLAR 2012. The pre-congress course took place on April 16-18,2012 at the beginning of the XVII Congress of Pan American League of Associations of Rheumatology from April 17th to April 21st, 2012, Punta Cana, Dominican Republic. (Spanish). - Skin ultrasound lectures were performed in the 9th European Congress of Aesthetic Medicine and the Annual Congress of the Spanish Society of Aesthetic Medicine (SEME). The meeting was held in Madrid on February 22-25, 2012. - "Ultrasound in Cosmetic Dermatology" lectures were presented in the Annual Meeting of the Cosmetic group of the Spanish Academy of Dermatology (GEDCT) that was held in Barcelona on November 25-26, 2011 in the Palau de Congressos de Catalunya. - The lecture " Ultrasound in paediatric dermatology" took place at the Institute of Child Health on Guilford Street, next to Great Ormond Street Hospital in London, UK. This lecture was organized by the Department of Dermatology of Great Ormond Street Hospital, and was performed on March, Monday 14th, 2011. - Lectures on skin ultrasound were performed in the SEUS congress 2011 (Spanish Ultrasound Society) that took place in Madrid , Spain from March 17 to March18, 2011. - Two lectures about skin ultrasound were presented in the Jornadas Paulistas de Radiologia 2011 that was held in Sao Paulo, Brazil from April 28 to May 1. The Jornadas Paulistas is the biggest radiological event in Latinoamerica and the quarter biggest radiological meeting in the world. It had aprox. 12.000 assistants. Color Doppler Ultrasound of the Skin: Two- In- One, Anatomy and Function in Real Time (workshop: "Non-Invasive Techniques to Evaluate Skin Function"
Click on the pictures to review the books!!! The past 20 years have marked an interesting road in the development of the field of ultrasound. I have included skin and nail ultrasound work for the last 15 years. An explosive growth has been seen due to the need for non-invasive studies of the skin and nails. Physicians and patients demand anatomical studies that match clinical signs for optimal medical and surgical planning as well as excellent cosmetic results. In this web site, you will find images, references and links that may help you understand and/ or develop this exciting new tool at your own work place.